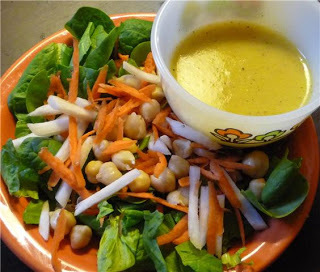 Here is a great salad dressing to try next time you have a salad. Combine spices with liquid ingredients. Enjoy over salad or double the recipe for use as a marinade. Warm slightly to enhance the flavors.